Acoustic Treated Ducts are used to prevent noise breakout from an air inlet or outlet of a plant room, building or enclosure while allowing ventilation air transfer. They have varying acoustic performance depending on the type of aerodynamically designed blades is used and the depth of the acoustic louver demanded by the design. Weather louvers resist the ingress of rain and moisture and are used where noise is not such a concern or is being treated by some other means. They provide weatherproofing and air transfer and can be made from mild steel and then finished in enamel paint or powder coated. 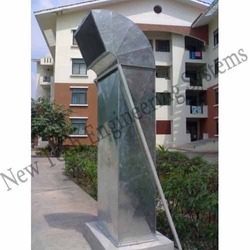 Looking for Acoustic Ventilation System ?